Readers may be wondering why we were kind of quiet last week. 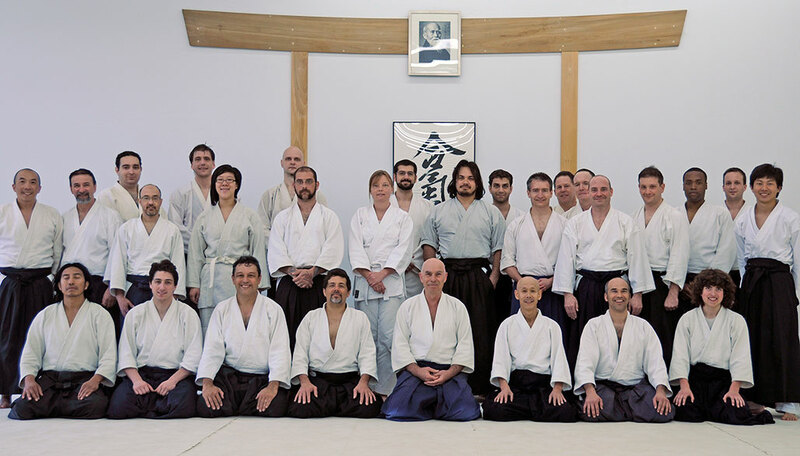 The reason was that many of us were at the Shobu Aikido Spring Gasshuku. A Shobu Gasshuku only happens four times a year, and we try to attend when possible. These 3-day-long seminars are very different from regular practice in that they bring together students from all over. Many of the attendees were from other parts of New England–western MA, Vermont, Maine–but there were also Aikidokas from New York, Las Vegas, and even Quebec! For those interested, Gleason Sensei is teaching an intensive seminar in May. They are different from a Gasshuku in that the material and training given in the three day-long session is spread over a 3-month period. The class size is limited to 20 students to maximize personal attention by Gleason Sensei. There are still a few spots remaining, but don’t wait too long or they will be gone!